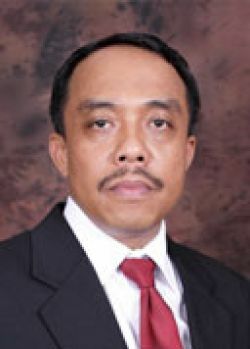 Mr. Gatot recently joined PT Sillo Bahari Nusantara as President Director. He is responsible for the core business of the company as Maritime Services including Marine Consultancy in supervision for new building ship & docking vessel/repair, Marine Surveying, and Project Management. Graduated from IMC (1988), Merchant Marine College (2001), and sailed for 18 years with various International Shipping Companies before moving to shore jobs. Whilst ashore he’s completed both a Bachelor Degree in Economics (2012) and a Master Degree (2015), majoring in Sea Transportation Management from STMT Trisakti. His shore career in shipping industries started in 2007 as Crewing Manager, HSE Manager /DPA, Managing Director, Operational Director/QMR, Senior Manager Operation/MR and until recently President Director. This vast experience and knowledge will be of immense help to the continuous improvement of the company's system and promote good relations with clients. He is assigned as General Secretary of CIMA (2013 – 2017), and presently appointed as Chairman of CIMA (Consortium of Indonesian Manning Agencies).